A warm congratulations to our ARCADIA collection winners! It’s been almost two years since myself and Philip launched noisecreations during our days at University, and to celebrate the occasion we have decided to give everyone a chance at winning 1 of 2 copies of our latest sound collection, ARCADIA! This sound collection has been crafted with retro gaming in mind, however, there are also loads of other sounds included such as Interfaces, Monsters, and Foley that can be used in a variety of different productions. To be in a chance of winning, all you have to do is make sure you are following us on Twitter, and retweet this tweet! Competition ends Sunday 22nd November 23:59. We will choose the winners at random and make an announcement early next week. 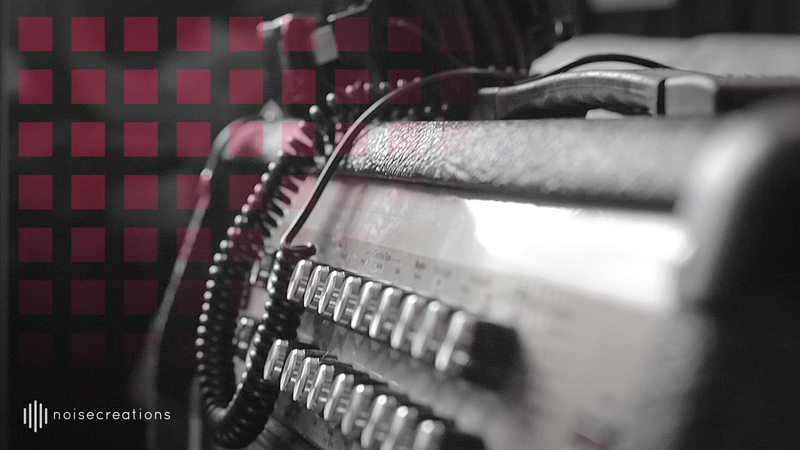 We launched our new sound collection yesterday, ‘ARCADIA’ which contains 983 retro styled sound effects. We have been really looking forward to releasing this collection so please check it out and let us know what you think! Click HERE to go to the ARCADIA page. 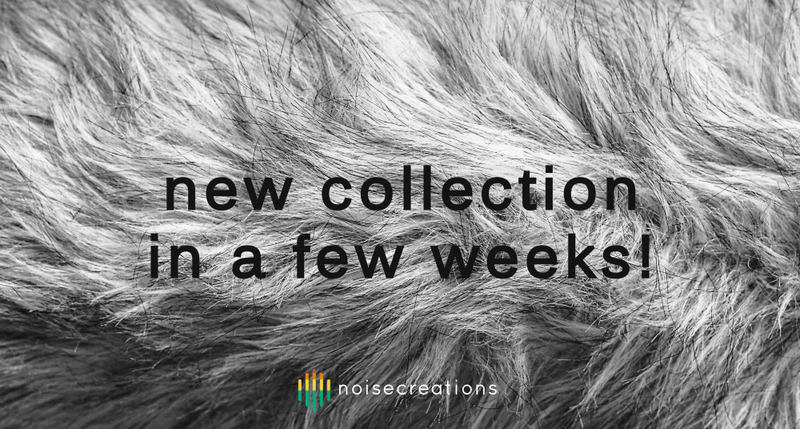 We have now released a total of 5 different sound collections, with our AURA collection containing an additional 3 versions. As we continue to expand our range of audio library’s, we are now starting to bundle some of the similar collections together, which can then be purchased at a cheaper cost than buying them both separately. To launch this new section of the site we have bundled ARCADIA and INTERACT together to make an ultimate collection of video game/interface sounds. Click HERE to go to the new bundles page! We’ve had a pretty great 2015 and we plan on continuing to provide high quality content through 2016. We’ll have more news about upcoming library’s in the new year. Hold onto your belts and/or braces as a new collection will be arriving very soon! 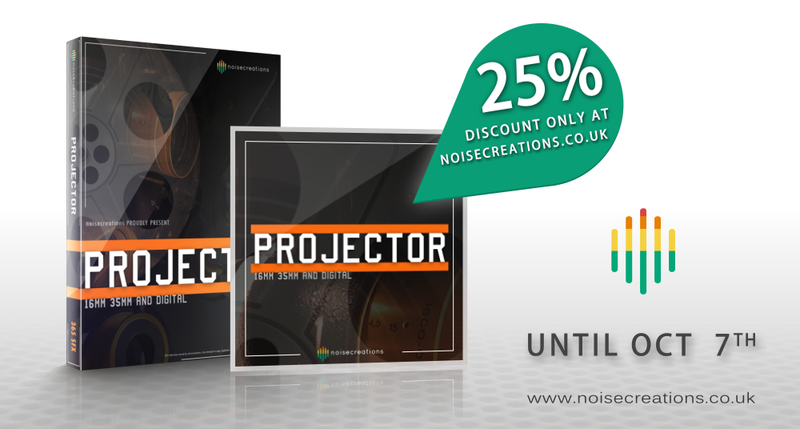 Last chance to save 25% on our PROJECTOR collection at noisecreations.co.uk! The noisecreations team have been very busy recently on a number of projects. 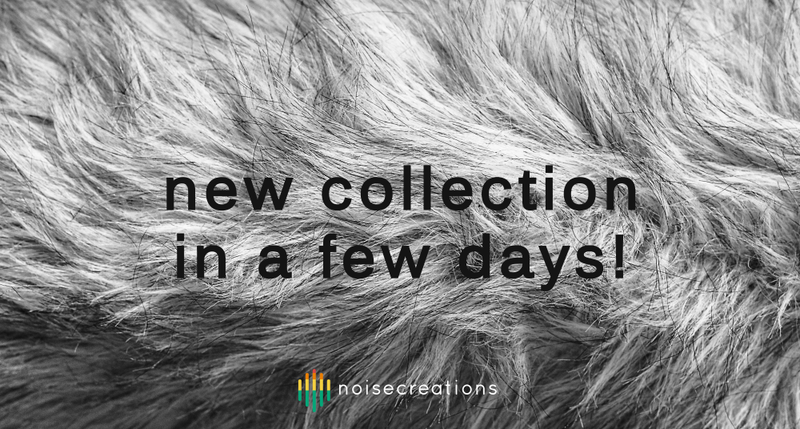 Follow us on twitter to obtain updates and news about a unique and exciting new collection we aim to release in October 2015! 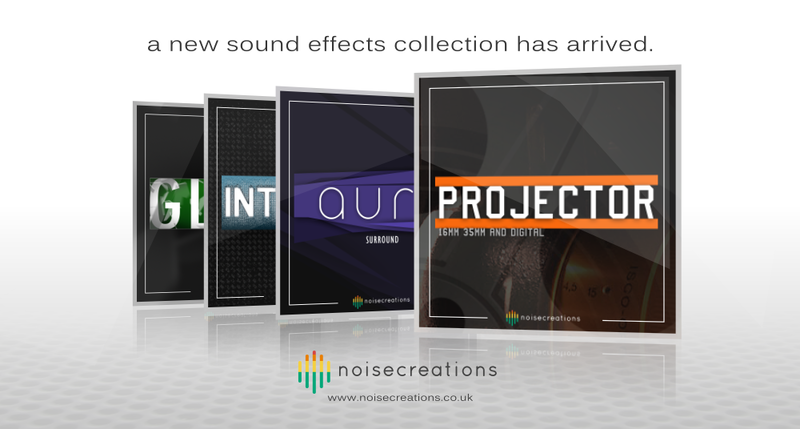 We have recently released two brand new sound effects collections: ‘AURA’ – a versatile ambience collection available in both 5.0 surround and stereo formats, and ‘PROJECTOR’ – a unique collection consisting of all things to do with film projection. Available from www.noisecreations.co.uk today.